Val Gleason is the president and chief executive officer at Newton Medical Center. Gleason joined Newton Medical Center in 2004 as vice president of physician services and most recently served as the hospital’s chief clinical integration officer. Gleason graduated from Newman University with a Bachelor of Science in Business. She holds a Master of Business Administration degree from Baker University and is a board-certified nurse executive, advanced. 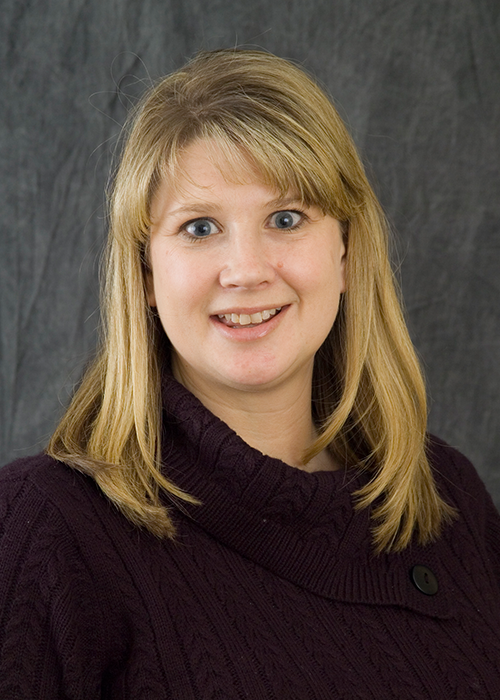 Gleason is involved with Asbury Park, the Kansas Hospital Association and KidPower, Inc. She is also a member of Pleasant Valley United Methodist Church, where she volunteers, and has been an adjunct faculty member at Friends University since 2006. She and her husband, Monty, have four children and five grandchildren. Charles Craig, MD, is the chief medical officer at Newton Medical Center. Dr. Craig has nearly four decades of experience as an orthopaedic surgeon, and he practices as part of the hospital’s Newton Orthopaedics & Sports Medicine clinic. Dr. Craig received his medical education at the University of Kansas School of Medicine and completed his residency at the University of Kansas Medical Center. Dr. Craig is board certified in orthopaedic surgery and specializes in total joint reconstruction. Dr. Craig has authored several scientific papers, volunteered as a football physician for Newton High School and has been involved with multiple societies: past president of the Kansas Medical Society, Kansas Orthopaedic Society and Harvey County Medical Society. He has also served on the Board of Counsilors for the American Academy of Orthopaedic Surgeons. He and his wife, Nancy, have four sons and seven grandchildren. Todd Kasitz is the chief financial officer at Newton Medical Center. Kasitz joined Newton Medical Center in 2012. Heather Porter is the chief clinical officer at Newton Medical Center. Porter joined Newton Medical Center in 2003. She has served in a variety of roles including medical case manager, director of case management, and most recently, associate chief clinical officer. Porter graduated from Fort Hays State University with a Bachelor of Science in Nursing and has a Masters of Science in Nursing with an emphasis in Health Care Administration from the University of Phoenix. Porter is specially certified as an accredited case manager-registered nurse. Serving on boards of the Missouri-Kansas chapter of the American Case Management Association (ACMA) and the Hesston College Nursing Advisory Council. Porter is a member of Kansas Insurance Department’s Utilization Review Advisory Committee. She recently served on the Governors Alzheimer Disease Plan Working Group to begin development of a state Alzheimer plan. She and her husband, Bob, have four children. Todd Tangeman is the chief operating officer and chief human resources officer at Newton Medical Center. Tangeman joined Newton Medical Center in 2006. Tangeman holds a Bachelor of Arts degree from Anderson University and a Master of Business Administration degree from Tabor College. He is a certified professional in human resources. Tangeman currently serves as member and past-chair of the Newton YMCA advisory board, and is a member of the Greater Wichita YMCA board. He has served as the board president for the Newton Area Chamber of Commerce. Tangeman also volunteers on the USD 373 Chisholm Middle School site council and the Hutchinson Community College – Newton: Community Advisory Committee. He is active with the Kansas Hospital Association and has served on its Workforce Committee and Healthy Kansas Hospitals Committee. He and his wife, Tammy, have two sons and a daughter.